Body cameras are a hot topic right now. The question is whether or not they are a valuable tool. In the following paragraphs, we look at body camer pros and cons for security guards. Pros: A body camera helps to stop the “he said, she said” game. It becomes harder for both guards and citizens to argue against the facts that are captured on film. It may keep guards on their best behavior with the knowledge that they are being monitored. It also may provide answers about the situation that are currently not available if an incident happens away from the guard vehicle. Video also makes it easier to prove if a suspect is lying about the situations. Con: There is an increased expense involved in outfitting guards with cameras, and there is the expense of adding equipment in order to view, save, document and store videos. There is also the expense of paying someone to do such. There are unanswered questions too about how long such video documentaries should be kept. Overtime the added expense of storing data is going to increase. Pros: Video helps to capture the circumstances of the scene. It helps to show criminal intent and also records the actions of both the guard and the suspects. Con: Video capture is limited. The video capture only captures video in the direction the camera is facing. It is not going to capture out of frame activities such as gestures. The device can be tampered with or even removed. In short there are ways around the limitations of body cameras. The camera can be turned off, and that limits its usefulness via intent. Pros: People in a position of power should be honest and trustworthy. A body camera helps to increase both of those traits because the video that is captured becomes a way to monitor guard behavior. Cons: Honesty and trustworthiness are traits that should be ferreted out during the application process. Video surveillance of guards now becomes a tool of HR. While the video may help to boost better behavior it opens up the question of why good behavior needs to be boosted through secondary devices. Pros: In the hands of someone who was determined to do wrong a body camera may help to dissuade bad behavior. It becomes another obstacle to overcome before such a crime could be committed. It also presents another opportunity. The opportunities presented by habits can be used over a period to weed out bad personalities. If there is a video failure each time, there is a complain then that becomes an occurrence management can track. Cons: Intent is often predetermined. Video is not going to prevent a predetermined crime. It may cause better behavior until such a time where opportunity outweighs common sense or integrity. The video surveillance device is also in the very hands of the person it is also supposed to restrain. What is to prevent criminals or guards from destroying it? It is not the end all opportunity to check bad behavior. Whether you agree that body cameras are the next required piece of equipment for guards or police officers depends on the pros and cons of the matter. To leave you with one more set of pros and cons on this matter consider the following. A body camera can help reduce the risk by exposing bad behaviors and bad environments. There is an argument that can be made that crime is partially the fault of the environment. Video may show that to be true. The con is the cost. 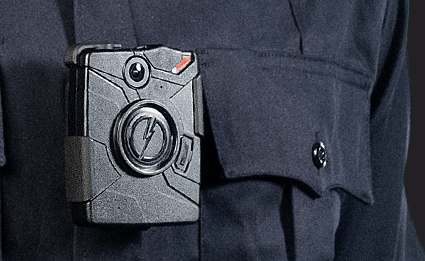 Making it mandatory to implement body cameras on guards and officers is going to be costly. This is a cost that many departments may not be able to afford. That means for police districts that fewer officers may be able to patrol. In a world where cost is not a barrier, the idea seems plausible. The bigger question is how to overcome the expense, which is ultimately going to fall on taxpayers.